So, you don’t like your wallet always open in your bags? Me, either. It’s annoying as our belongings will easily fall out, get wrinkles (especially paper money) or rub with the other stuff. However, I don’t like using those wallets with button strap as they are too hard to put in the back pocket as well as sit down. 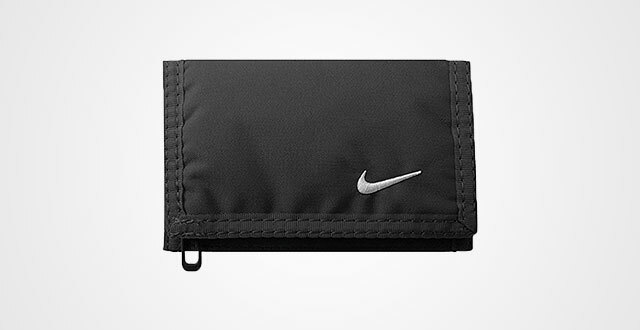 If you have the same thought as me, let’s consider the Velcro wallets. This is arguably as the best way to give you ultimate protection without feeling bulk. 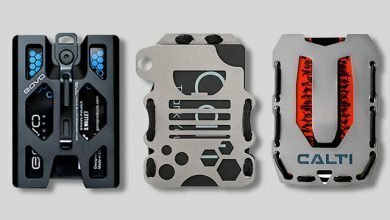 If you still have no idea about this great item, then have a look at these 10 best Velcro wallets. If you are looking for a non-leather Velcro wallet with slim trifold silhouette, look no further than this Darkine Vert Rail Wallet. It is made out of 100 percent polyester to deliver a strikingly lightweight to stay in your pocket without straining it down or feeling inconvenient. As a trifold, this wallet offers a large capacity for storage, including 8 card slots, 1 top long compartment and 1 outer zippered pocket. Its horizontal slots make a good fit to my bank cards and ID cards whereas the right ones are a little bit bigger, which I think it’s ideal for folded changes or driver license. I like its cash compartment as it is spacious enough to fit up US Dollars, roughly 10-15 bills without bulk. On top of that, the outer zipper features moderate size to match either folded paper money, receipts or coins for quick access. If you are curious about the Velcro, just worry not as it works quite well no matter how fat of the wallet. 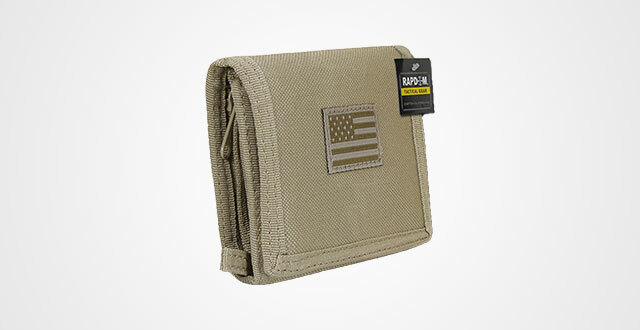 This is one of the best Velcro wallets for the price. It has two versions: The Game Royal with measurements of 9 x 13 cm and the black with one size fit all. It features simple outer performance with a highlighted Embroidered Nike swoosh on the frontside, making it more unique. 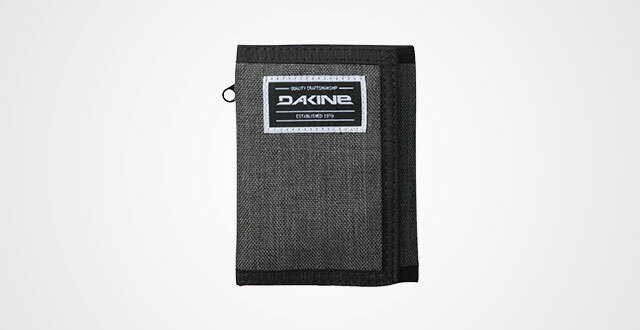 Like the Dakine, this Nike is a trifold, made out of polyester and nylon lining, bringing an ultimate water resistance and lightweight. The inner zippered pocket gives it extra closure so that you can feel peace in mind to put up coins, keys and things like that. When it comes to this Rothco Commando trifold velcro wallet, you will be amazed by its superb durability and flexibility. 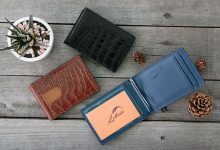 Made from 100 percent nylon that has been already tested for quality, the wallet is surely built to be the roughest and toughest that will serve you for years. 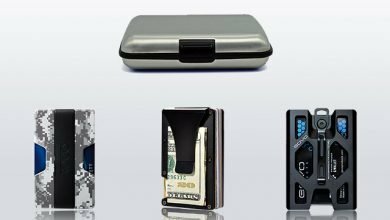 Features 4 inches wide and 4.8 inches long when closed, plus the reasonable-sized compartments, this is also a perfect travel wallet as it can fit up many kinds of currencies from various countries such as US Dollars, Euro, Yen, etc. 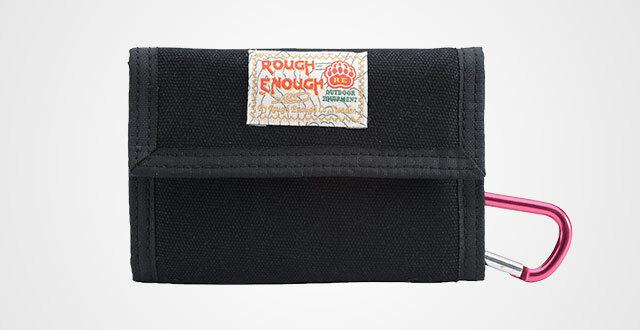 Also, thanks to the nylon material and compact design, this wallet is quite lightweight and small to put in any pocket, even the cycling jersey back pocket or carry alongside without noticed. Besides, it can quick moisture and sweat away to give extra protection to your essentials. A highly-recommended wallet for bikers. I don’t know about you, but I myself usually split my essential stuff into various wallets with different sizes. 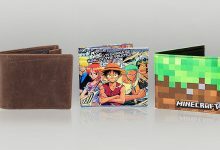 I need a Mother wallet to keep my world neatly, safely include all cards, currency and stuff like that. Meanwhile, I also need a minimalist wallet or a slim wallet to keep my vital cards for a quick go. 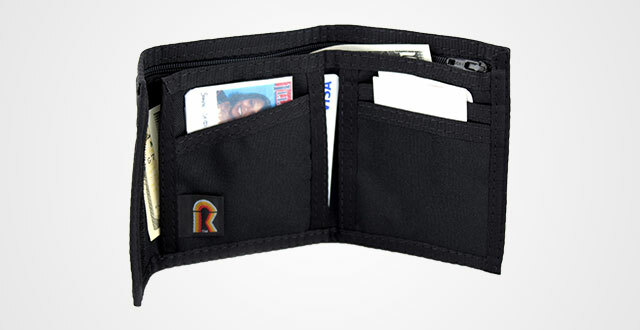 If you are the same like me, I highly recommend this RAPDOM mens velcro wallet which focuses more on the functionality. It has 18 pockets, including 1 non-stick ID window to keep your stuff well-organized and streamlined without a mess and help you easily find what you want in just a few seconds. 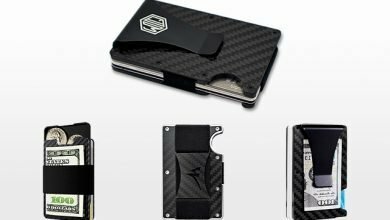 However, the real fun is that despite such enormous capacity, the wallet still manages its slim silhouette with only 4.75″ x 3.5″ x .75″ when closing. If you are wondering about the material, it’s 6.6 Cordura Nylon 1000D which is one of the most high-quality and durable material to minimize wears and tears as less as possible. A good thing is its closure, totally not a joke. The Velcro strap works quite well or the hidden zippered pocket inside the cash compartment is a perfect place for your important documents and coins. 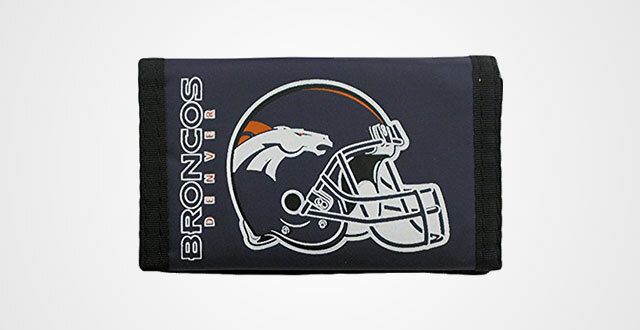 Show up some love to your American Football Team by this badass NFL Trifold Wallet. Don’t fret, they are all officially licensed. Come up with 5 inches long and 3 inches wide, including 1 inner plastic picture holder and 1 inner pocket, it fits nicely your daily essential stuff like some vital cards, a couple of bills for quick charges and stuff like that. Again, the Velcro strap does the thing quite well to keep your mind eased for possession storage. Despite its trifold silhouette, its maximum thickness is roughly 1 inch to fit any pocket without ruining the line. It can be said that 2017 was the year of checkerboard pattern, and up to now, it’s still hot. 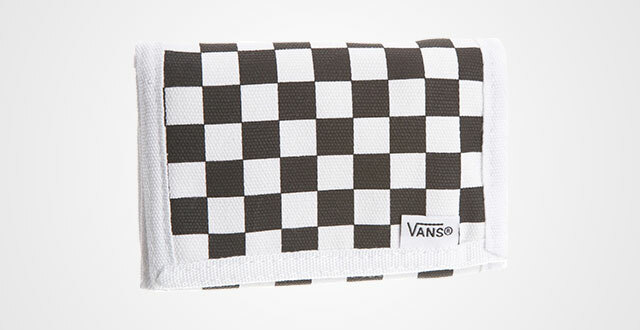 If you haven’t had one yet, just consider this convenient Velcro Wallet. It’s made by Vans, and used original packaging. You can go wrong with Vans, for sure. It is a great compromise of functionality and style to nail your taste or match perfectly with your available checkerboard outfit. Choosing from either the black/white or the Black Gunmetal. For those who wonder about its material, its texture is the same as Vans’ shoes, which is thick, durable and well-made. Vans also asserts that this is an unworn item to serve you for years. In a word, it’s worth for the price. 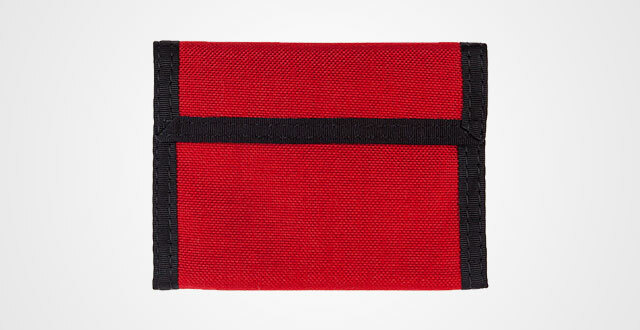 This Rough Velcro Wallet comes up with more color selections to meet different tastes. But in general, there are two styles: the single-color and the camo. In terms of its security and durability, I have nothing to complaint. Closure Velcro Strap, double-stitched rims and thick canvas material. Might it not look as luxury as the leather, but it does the thing to help the maintenance easier. Whenever it gets dirt, just let it washed by machine. There are 6 card slots and 1 zippered pocket on the backside where you can put up some regular cards, coins or a couple of charges for quick payment. 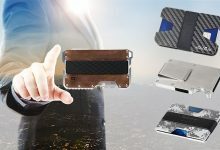 It also highlights a simple fasten buckle which you can connect easily this wallet with anything at anywhere. But please understand that it’s not for climbing. If you are looking for a best velcro wallet for your kids, just consider this Jeminal. Its young, stylish and simple design is going to make your son or grandson happy. As kids tend to not have much experience to use and take care of their very first wallet in their life, it’s essential to opt for a durable with strong fabric. With Jeminal, you can totally feel ease in mind with its high-quality canvas. It’s super durable, comfortable to touch and lightweight. 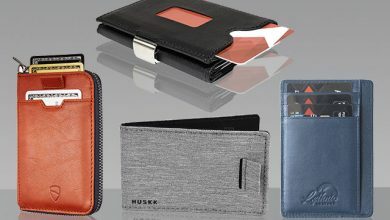 Featured as a bifold wallet and measured by 3.54 x 0.59 x 5.12 inches, the wallet can fit neatly your essential belongings such as cards, cash, documents, and receipts whereas keep its slim profile when closed to stay fitly in your pocket. 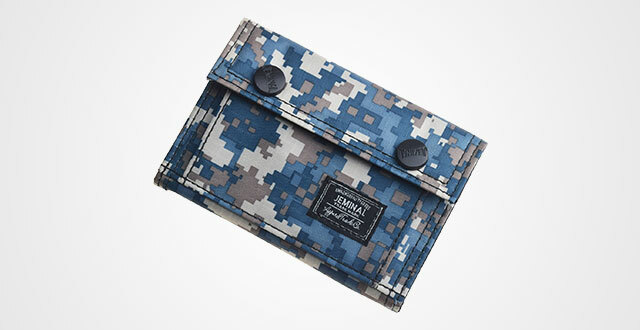 Based on its multiuse outer performance, this wallet is a high recommendation for teens, boys, kids and men. 9. Rainbow of California Original Bifold Nylon Wallet. Made in the USA. Black is not a color, it’s a style! 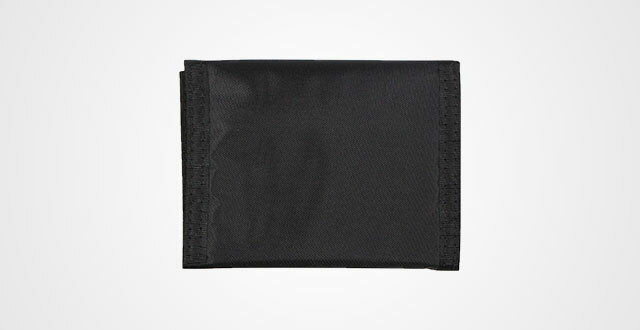 Let just opt for this simple black nylon trifold wallet velcro closure from the USA-based Rainbow of California if you are seeking a bifold made out of nylon. Truth to say, it’s hard like hell to find for such wallets as mostly they come up with trifold style, which is too thick to fit my pocket. Get it and you will worry free about it slipping out of your pocket as these Nylon products don’t come up with as slippery texture as the leather. Not saying that, 500 Denier Cordura Nylon is considered as one of the most durable materials on the market that is built to last. Besides, it’s pretty awesome to get a great bifold velcro wallet manufactured in the US, so, it’s worth a try! I personally like its colorway – a great combination between red and black to make something simple, elegant yet still keep you stand out from the crowd. 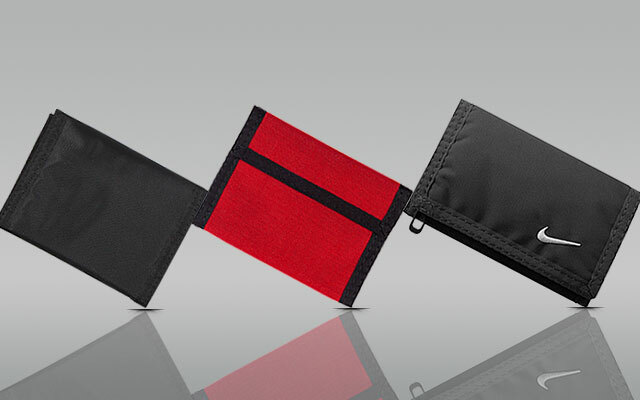 If a superb durable non-leather wallet is what you need, give this ZAGA nylon bifold wallet with velcro closure a try. It’s made from 1000 Denier Cordura – Nylon and though I have just used it for a couple of months but from other users, there are a lot of compliments for its longevity, some can last for 20 years. Freaking awesome! Besides, it’s made in the US so that you freely use it with no doubt at its source or quality. 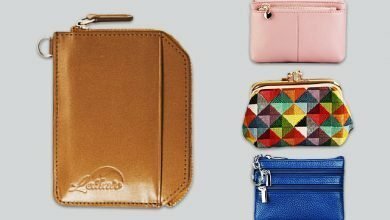 After checking out my collection of the best Velcro Wallets, which is your pick of the bunch? 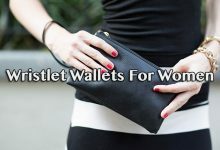 They are all stylish, fashionable and functional wallets coming from well-known and reliable brand. Not saying that the quality and material has been through many tests as well as have some highlight customer testimonials. On top of that, this collection is based on my personal experience and from what I’ve researched for hours on my own. I honestly think that you should give them a try!